Dame Susan Jocelyn Bell Burnell DBE FRS FRSE FRAS FInstP ( /bɜːrˈnɛl/ ; born 15 July 1943) is an astrophysicist from Northern Ireland who, as a postgraduate student, co-discovered the first radio pulsars in 1967. She was credited with "one of the most significant scientific achievements of the 20th century". The discovery was recognised by the award of the 1974 Nobel Prize in Physics, but despite the fact that she was the first to observe the pulsars,  Bell was not one of the recipients of the prize. Fellow of the Royal Astronomical Society (FRAS) is the style granted to members of the Royal Astronomical Society (RAS) on successful application. The paper announcing the discovery of pulsars had five authors. Bell's thesis supervisor Antony Hewish   was listed first, Bell second. Hewish was awarded the Nobel Prize, along with the astronomer Martin Ryle. 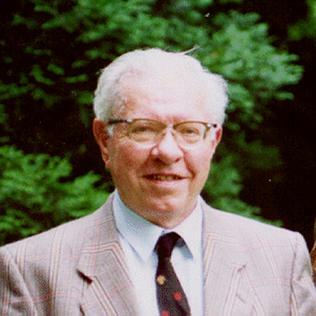 Many prominent astronomers criticised Bell's omission,  including Sir Fred Hoyle. In 1977, Bell Burnell played down this controversy, saying, "I believe it would demean Nobel Prizes if they were awarded to research students, except in very exceptional cases, and I do not believe this is one of them." The Royal Swedish Academy of Sciences, in its press release announcing the 1974 Nobel Prize in Physics,  cited Ryle and Hewish for their pioneering work in radio-astrophysics, with particular mention of Ryle's work on aperture-synthesis technique, and Hewish's decisive role in the discovery of pulsars. Antony Hewish is a British radio astronomer who won the Nobel Prize for Physics in 1974 for his role in the discovery of pulsars. He was also awarded the Eddington Medal of the Royal Astronomical Society in 1969. Sir Martin Ryle was an English radio astronomer who developed revolutionary radio telescope systems and used them for accurate location and imaging of weak radio sources. 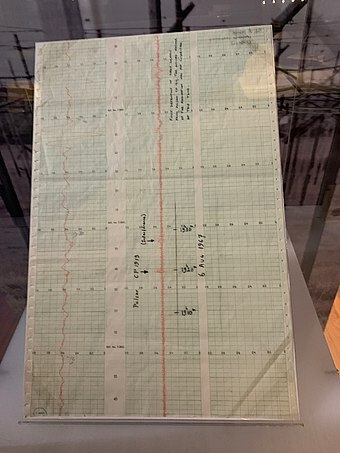 In 1946 Ryle and Derek Vonberg were the first people to publish interferometric astronomical measurements at radio wavelengths. With improved equipment, Ryle observed the most distant known galaxies in the universe at that time. He was the first Professor of Radio Astronomy at the University of Cambridge, and founding director of the Mullard Radio Astronomy Observatory. He was Astronomer Royal from 1972 to 1982. Ryle and Antony Hewish shared the Nobel Prize for Physics in 1974, the first Nobel prize awarded in recognition of astronomical research. In the 1970s, Ryle turned the greater part of his attention from astronomy to social and political issues which he considered to be more urgent. Sir Fred Hoyle FRS was a British astronomer who formulated the theory of stellar nucleosynthesis. He also held controversial stances on other scientific matters—in particular his rejection of the "Big Bang" theory, a term coined by him on BBC radio, and his promotion of panspermia as the origin of life on Earth. He also wrote science fiction novels, short stories and radio plays, and co-authored twelve books with his son, Geoffrey Hoyle. Bell served as president of the Royal Astronomical Society from 2002 to 2004, as president of the Institute of Physics from October 2008 until October 2010, and as interim president of the Institute following the death of her successor, Marshall Stoneham, in early 2011. The President of the Royal Astronomical Society chairs the Council of the Royal Astronomical Society (RAS) and its formal meetings. They also liaise with government organisations, similar societies in other countries, and the International Astronomical Union on behalf of the UK astronomy and geophysics communities. Future presidents serve one year as President Elect before succeeding the previous president. Arthur Marshall Stoneham, FRS, known as Marshall Stoneham, was a British physicist who worked for the United Kingdom Atomic Energy Authority, and from 1995 was Massey professor of physics at University College London. Jocelyn Bell was born in Lurgan, Northern Ireland, to M. Allison and G. Philip Bell. Her father was an architect who had helped design the Armagh Planetarium,  and during visits she was encouraged by the staff to pursue astronomy professionally. Young Jocelyn also discovered her father's books on astronomy. 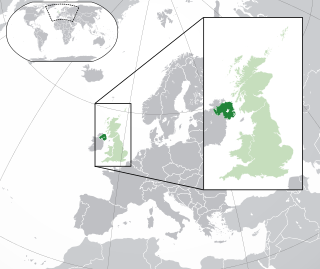 Lurgan is a town in County Armagh, Northern Ireland. The town is near the southern shore of Lough Neagh and is in the north-eastern corner of County Armagh. Lurgan is about 18 miles (29 km) south-west of Belfast and is linked to the city by both the M1 motorway and the Belfast–Dublin railway line. It had a population of about 23,000 at the 2001 Census. It is within the Armagh, Banbridge and Craigavon district. Armagh Planetarium is a planetarium located in Armagh, Northern Ireland close to the city centre and neighbouring Armagh Observatory in approximately fourteen acres of landscaped grounds known as the Armagh Astropark. Lurgan College is a Christian, co-educational , 14–19 age selective grammar school situated in the town of Lurgan, County Armagh, Northern Ireland. She worked at the University of Southampton between 1968 and 1973, University College London from 1974 to 82 and the Royal Observatory, Edinburgh (1982–91). From 1973 to 1987 she was a tutor, consultant, examiner, and lecturer for the Open University. In 1986, she became the project manager for the James Clerk Maxwell Telescope on Mauna Kea, Hawaii. She was Professor of Physics at the Open University from 1991 to 2001. She was also a visiting professor at Princeton University in the United States and Dean of Science at the University of Bath (2001–04),  and President of the Royal Astronomical Society between 2002 and 2004. Burnell, S. Jocelyn (1989). Broken for Life. Swarthmore Lecture. London: Quaker Home Service. ISBN 978-0-85245-222-6. Riordan, Maurice; Burnell, S. Jocelyn (27 October 2008). Dark Matter: Poems of Space. Calouste Gulbenkian Foundation. ISBN 978-1-903080-10-8. ↑ The Preparatory Department of Lurgan College closed in 2004,  the college becoming a selective grammar school for ages 14–19. 1 2 3 4 Who's Who 2017. 1 2 3 Lurgan Mail 2007. ↑ Bell Burnell 2007, pp. 579–581. 1 2 Hewish et al. 1968, p. 709. 1 2 Pilkington et al. 1968, p. 126. 1 2 The Life Scientific 2011. 1 2 BBC Scotland 2014. 1 2 Kaplan & Farzan 2018. ↑ Johnston 2007, pp. 2–3. ↑ Interview at NRAO 1995. ↑ Jocelyn Bell Burnell profile. ↑ University of Bath 2004. ↑ Institute of Physics: Council. ↑ Univ of Dundee 2018. ↑ Warren & Thackray 2018. ↑ Académie des sciences 2018. ↑ Bell Burnell 2004, pp. 426–89. ↑ QPSW Testimonies Committee 2007, p. ?. ↑ Bell Burnell 2013, p. 11. ↑ Condensed Matter Physics Group 2010. Addley, Esther (16 June 2007). "From Russia with gong". The Guardian. Retrieved 30 December 2015. Allan, Vicky (5 January 2015). "Face to Face: science star who went under the radar of Nobel Prize judges". The Herald . Glasgow. Retrieved 30 December 2015. Bakewell, Joan (9 November 2010). "Interview with Jocelyn Bell Burnell". Belief. BBC. Archived from the original on 9 November 2010. "Beatrice M. Tinsley Prize". American Astronomical Society. Archived from the original on 30 April 2018. Retrieved 30 December 2015. "Beautiful Minds, Series 1". BBC Four. 25 April 2011. Retrieved 30 December 2015. "Beautiful Minds, Series 1, Jocelyn Bell Burnell (Part 1 of 3)". BBC Four. 24 April 2011. Retrieved 30 December 2015. "Bell Burnell, Dame (Susan) Jocelyn, (born 15 July 1943), astronomer; Visiting Professor of Astrophysics, University of Oxford, since 2004; President, Royal Society of Edinburgh, 2014–March 2018" . Who's Who (UK). Oxford University Press. 1 December 2017. doi:10.1093/ww/9780199540884.013.7157. Bell Burnell, Jocelyn (26 October 1995). "The woman who discovered pulsars: An Interview with Jocelyn Bell Burnell at NRAO (National Radio Astronomy Observatory)" (Interview). Interviewed by Kate Marsh Weatherall; David G. Finley. Weatherall Technical Applications. Retrieved 2 February 2018. Bell Burnell, Jocelyn (21 May 2000). "Oral History Interviews: Jocelyn Bell Burnell" (Interview). Interviewed by David DeVorkin. College Park, MD: AIP. Bell Burnell, Jocelyn (2007). "Pulsars 40 Years on". Science. 318 (5850): 579–581. doi:10.1126/science.1150039. ISSN 0036-8075. PMID 17962545. Bell Burnell, S. Jocelyn (1977). "Petit Four – After Dinner Speech published in the Annals of the New York Academy of Science Dec 1977". Annals of the New York Academy of Sciences. 302: 685–689. Bibcode:1977NYASA.302..685B. doi:10.1111/j.1749-6632.1977.tb37085.x. Bell, Susan Jocelyn (1968). The Measurement of radio source diameters using a diffraction method. repository.cam.ac.uk (PhD thesis). University of Cambridge. doi:10.17863/CAM.4926. OCLC 500382385. EThOS uk.bl.ethos.449485. Bertsch McGrayne, Sharon (1998). Nobel Prize women in science: their lives, struggles, and momentous discoveries (Rev. ed.). Secaucus, N.J.: Carol Pub. Group. ISBN 978-0-8065-2025-4. OCLC 39633911. "Cosmic Search Vol. 1, No. 1 – Little Green Men, White Dwarfs or Pulsars?". "Council". Institute of Physics. Archived from the original on 9 March 2011. "Dame Jocelyn Bell Burnell". The Life Scientific. 25 October 2011. BBC Radio 4 . Retrieved 18 January 2014. "Dame Jocelyn Bell Burnell Appointed Chancellor of the University of Dundee". University of Dundee. 20 February 2018. Retrieved 20 February 2018. "Dame Jocelyn Bell Burnell to be Royal Society's first female president". BBC Scotland. 5 February 2014. Retrieved 30 December 2015. "Dame Jocelyn Bell-Burnell – 2018 AstroFest Keynote Speaker". Central West Astronomical Society. Retrieved 25 July 2018. "The discovery of pulsars". Horizon. BBC. 1 September 2010. BBC Two. "Dr Gavin Burnell: Associate Professor in Condensed Matter Physics". Condensed Matter Physics Group, University of Leeds. 2010. Retrieved 28 January 2018. Eisberg, Joann (1997). "Jocelyn Bell Burnell (1943–)". In Shearer, Benjamin F.; Shearer, Barbara. Notable Women in the Physical Sciences: A Biographical Dictionary. Westport, CT and London: Greenwood Press. pp. 9–14. ISBN 978-0-313-29303-0. "The Franklin Institute Awards | the Franklin Institute Science Museum". Franklin Institute. 3 February 2014. Retrieved 30 December 2015. "Franklin Laureate Database – Albert A. Michelson Medal Laureates". Franklin Institute. Archived from the original on 6 April 2012. Retrieved 15 June 2011. Ghosh, Pallab (6 September 2018). "Fund to counter physics 'white male bias'". BBC News. Retrieved 6 September 2018. Hargittai, István (2003). The road to Stockholm: Nobel Prizes, science, and scientists. Oxford University Press. p. 240. Bibcode:2002rost.book.....H. ISBN 978-0-19-860785-4. "Hawking receives Einstein Award". Physics Today. 31 (4): 68. April 1978. Bibcode:1978PhT....31d..68.. doi:10.1063/1.2995004. 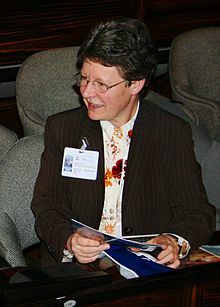 Jocelyn Bell Burnell, researcher on the staff of the Mullard Space Science Laboratory of University College London, is the recipient of the 1978 J. Robert Oppenheimer Memorial Prize. "Herschel Medal Winners" (PDF). Royal Astronomical Society. Archived from the original (PDF) on 24 September 2015. Retrieved 27 December 2016. Hewish, A.; Bell, S. J.; Pilkington, J. D. H.; Scott, P. F.; Collins, R. A. (1968). "Observation of a Rapidly Pulsating Radio Source". Nature. 217 (5130): 709. Bibcode:1968Natur.217..709H. doi:10.1038/217709a0. For the follow-up paper, see Pilkington et al. 1968. "Jansky Home Page". National Radio Astronomy Observatory . Retrieved 14 May 2009. "Jocelyn Bell Burnell". 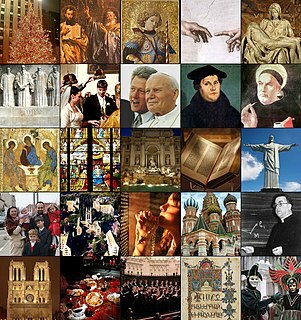 Quakers In The World web portal (QITW). Retrieved 30 January 2018. "Jocelyn Bell Burnell Medal and Prize". Institute of Physics. Retrieved 28 October 2018. "Jocelyn Bell Burnell profile". Contributions of 20th Century Women to Physics (CWP). Archived from the original on 7 July 2007. Retrieved 7 July 2007. "Jocelyn Bell Burnell retires as Dean". University of Bath. 16 August 2004. Archived from the original on 29 May 2007. "Jocelyn Bell: the true star". Belfast Telegraph. 13 June 2007. Retrieved 7 February 2018. Johnston, Colin (March 2007). "Pulsar Pioneer visits us" (PDF). Astronotes. Armagh Planetarium. pp. 2–3. Retrieved 10 July 2009. Judson, Horace (20 October 2003). "No Nobel Prize for Whining". The New York Times. Retrieved 3 August 2007. Kaplan, Sarah; Farzan, Antonia Noori (8 September 2018). "She made the discovery, but a man got the Nobel. A half-century later, she's won a $3 million prize". The Wahington Post. Kaufman, Rachel (24 June 2016). "Dame Jocelyn Bell-Burnell: No asking, just telling". College Park, MD: Sigma Pi Sigma. Retrieved 6 July 2016. "Les lauréats des prix de l'Académie des sciences attribués en 2018" [2018 Laureates of the French Academy of Sciences Prize] (in French). Académie des sciences. 24 July 2018. Retrieved 26 July 2018. "Lurgan College: School History" . Retrieved 7 February 2018. "The Magellanic Premium of the American Philosophical Society". American Philosophical Society. 2008. Archived from the original on 17 April 2009. McKie, Robin (2 October 2010). "Fred Hoyle: the scientist whose rudeness cost him a Nobel prize". The Guardian. McNaughton, Marion; Pegler, Linda; Arriens, Jan; Dale, Jonathan; Steven, Helen; Perks, Nick; Michaelis, Laurie (2007). Engaging with the Quaker Testimonies: a Toolkit. Quaker Books for Quaker Peace & Social Witness Testimonies Committee. ISBN 978-0-901689-59-7. Merali, Zeeya (6 September 2018). "Pulsar discoverer Jocelyn Bell Burnell wins $3-million Breakthrough Prize". Nature. 561 (7722): 161. Bibcode:2018Natur.561..161M. doi:10.1038/d41586-018-06210-w. ISSN 0028-0836. PMID 30206391. Ouellette, Jennifer (6 September 2018). "Jocelyn Bell Burnell wins $3 million prize for discovering pulsars". Ars Technica . Retrieved 6 September 2018. Pilkington, J. D. H.; Hewish, A.; Bell, S. J.; Cole, T. W. (1968). "Observations of some further Pulsed Radio Sources". Nature. 218 (5137): 126. Bibcode:1968Natur.218..126P. doi:10.1038/218126a0. For the first paper (announcing the discovery), see Hewish et al. 1968. "President's medal recipients: Professor Dame Jocelyn Bell Burnell (full citation)". Institute of Physics. 2017. Retrieved 17 July 2017. "Press Release: The 1974 Nobel Prize in Physics". Nobelprize.org. 15 October 1974. Retrieved 30 December 2015. "Professor Jocelyn Bell Burnell FRS – Spectrum of astronomy". The Royal Society. n.d. Archived from the original on 14 October 2006. "Queen's Birthday Honours 2007". University of Oxford. 18 June 2007. Retrieved 10 July 2007. "QVMAG: Grote Reber Medal Winners: 2011 Winner: Professor Jocelyn Bell Burnell". QVMAG. Archived from the original on 6 January 2016. Retrieved 30 December 2015. "The Restless Universe: Some Highlights of Physics". OpenLearn. The Open University. Retrieved 27 January 2015. "Royal Medal". Royal Society . Retrieved 20 July 2015. Sample, Ian (6 September 2018). "British astrophysicist overlooked by Nobels wins $3m award for pulsar work". The Guardian . Retrieved 6 September 2018. "Special Breakthrough Prize in Fundamental Physics Awarded to Jocelyn Bell Burnell for Discovery of Pulsars" (Press release). Breakthrough Prize. 6 September 2018. A Special Breakthrough Prize in Fundamental Physics can be awarded by the Selection Committee at any time, and in addition to the regular Breakthrough Prize awarded through the ordinary annual nomination process. Unlike the annual Breakthrough Prize in Fundamental Physics, the Special Prize is not limited to recent discoveries. "Visiting star at college". Lurgan Mail. 13 February 2007. Retrieved 6 February 2018. Walter, Claire (1982). Winners, the blue ribbon encyclopedia of awards. Facts on File. p. 438. ISBN 978-0-87196-386-4. Warren, Andrew; Thackray, Lucy (25 July 2018). "The pioneer of pulsars pops into Parkes". CSIROscope. Retrieved 25 July 2018. "Woman's Hour – the Power List 2013". BBC. 1 January 1970. Retrieved 30 December 2015. "Women of the Year Prudential Lifetime Achievement Award". Womenoftheyear.co.uk. Archived from the original on 6 January 2016. Retrieved 30 December 2015. Coroniti, Ferdinand V.; Williams, Gary A. (2006). "Jocelyn Bell Burnell". In Byers, Nina; Williams, Gary. Out of the Shadows: Contributions of Twentieth-Century Women to Physics. Cambridge University Press. ISBN 978-0-521-82197-1. Joseph Hooton Taylor Jr. is an American astrophysicist and Nobel Prize in Physics laureate for his discovery with Russell Alan Hulse of a "new type of pulsar, a discovery that has opened up new possibilities for the study of gravitation." Russell Alan Hulse is an American physicist and winner of the Nobel Prize in Physics, shared with his thesis advisor Joseph Hooton Taylor Jr., "for the discovery of a new type of pulsar, a discovery that has opened up new possibilities for the study of gravitation". He was a specialist in the pulsar studies and gravitational waves. Klaus von Klitzing is a German physicist, known for discovery of the integer quantum Hall effect, for which he was awarded the 1985 Nobel Prize in Physics. PSR B1919+21 is a pulsar with a period of 1.3373 seconds and a pulse width of 0.04 seconds. 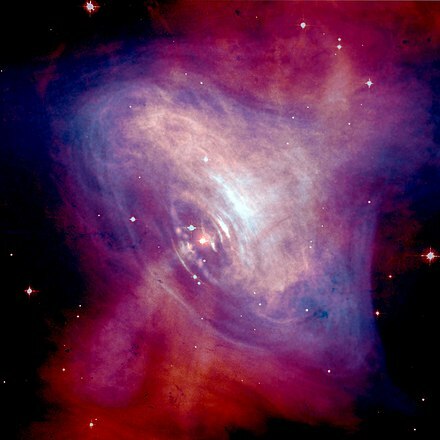 Discovered by Jocelyn Bell Burnell and Antony Hewish on November 28, 1967, it is the first discovered radio pulsar. The power and regularity of the signals were briefly thought to resemble an extraterrestrial beacon, leading the source to be nicknamed LGM-1. A pulsar is a highly magnetized rotating neutron star that emits a beam of electromagnetic radiation. This radiation can be observed only when the beam of emission is pointing toward Earth, and is responsible for the pulsed appearance of emission. Neutron stars are very dense, and have short, regular rotational periods. This produces a very precise interval between pulses that ranges from milliseconds to seconds for an individual pulsar. Pulsars are believed to be one of the candidates for the source of ultra-high-energy cosmic rays. The Cavendish Astrophysics Group is based at the Cavendish Laboratory at the University of Cambridge. The group operates all of the telescopes at the Mullard Radio Astronomy Observatory except for the 32m MERLIN telescope, which is operated by Jodrell Bank. The Interplanetary Scintillation Array is a radio telescope that was built in 1967 at the Mullard Radio Astronomy Observatory, in Cambridge, United Kingdom, and was operated by the Cavendish Astrophysics Group. The instrument originally covered 4 acres. It was enlarged to 9 acres in 1978, and was re-furbished in 1989. The Religious Society of Friends, commonly known as Quakers, encouraged some values which may have been conducive to encouraging scientific talents. A theory suggested by David Hackett Fischer in his book Albion's Seed indicated early Quakers in the US preferred "practical study" to the more traditional studies of Greek or Latin popular with the elite. Another theory suggests their avoidance of dogma or clergy gave them a greater flexibility in response to science. Arthur Bruce McDonald, P.Eng, is a Canadian astrophysicist. McDonald is the director of the Sudbury Neutrino Observatory Collaboration and held the Gordon and Patricia Gray Chair in Particle Astrophysics at Queen's University in Kingston, Ontario from 2006 to 2013. He was awarded the 2015 Nobel Prize in Physics jointly with Japanese physicist Takaaki Kajita. The Matilda effect is a bias against acknowledging the achievements of those women scientists whose work is attributed to their male colleagues. This effect was first described by suffragist and abolitionist Matilda Joslyn Gage (1826–98) in her essay, "Woman as Inventor". The term "Matilda effect" was coined in 1993 by science historian Margaret W. Rossiter. The Breakthrough Prize in Fundamental Physics is awarded by the Fundamental Physics Prize Foundation, a not-for-profit organization dedicated to awarding physicists involved in fundamental research. The foundation was founded in July 2012 by Russian physicist and internet entrepreneur Yuri Milner. Sheila Rowan is a Professor of Physics and Astronomy at the University of Glasgow in Scotland, and director of its Institute for Gravitational Research since 2009.